to share their latest collections. RJR fabrics asked me to create my Orchard Hot Pads for Quilt Market. I used the new fabric line called "In the Kitchen" by Patrick Lose. 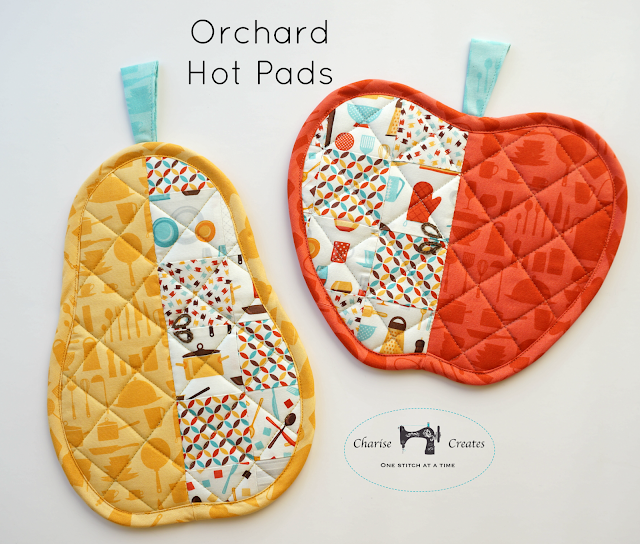 The fabrics are perfect for the hot pads. My favorite print includes all the kitchen supplies and is perfect for fussy cutting the patchwork squares. 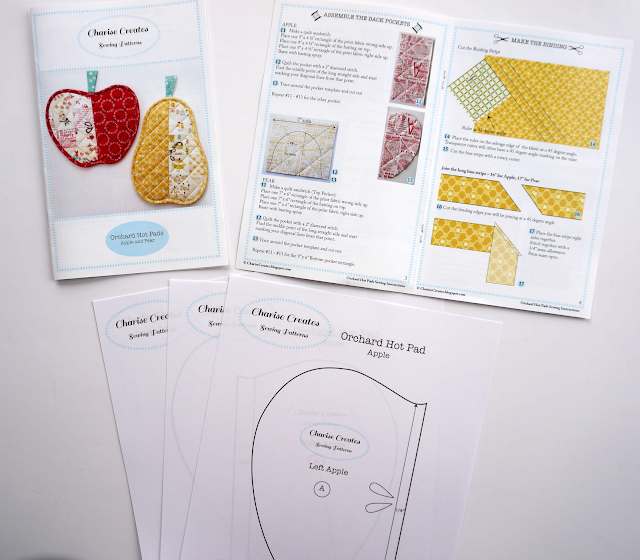 I have added a few paper patterns for the Orchard Hot Pads to my Etsy shop. The pattern includes a color booklet and full size pattern pages. Congratulations! You got the pattern on paper! 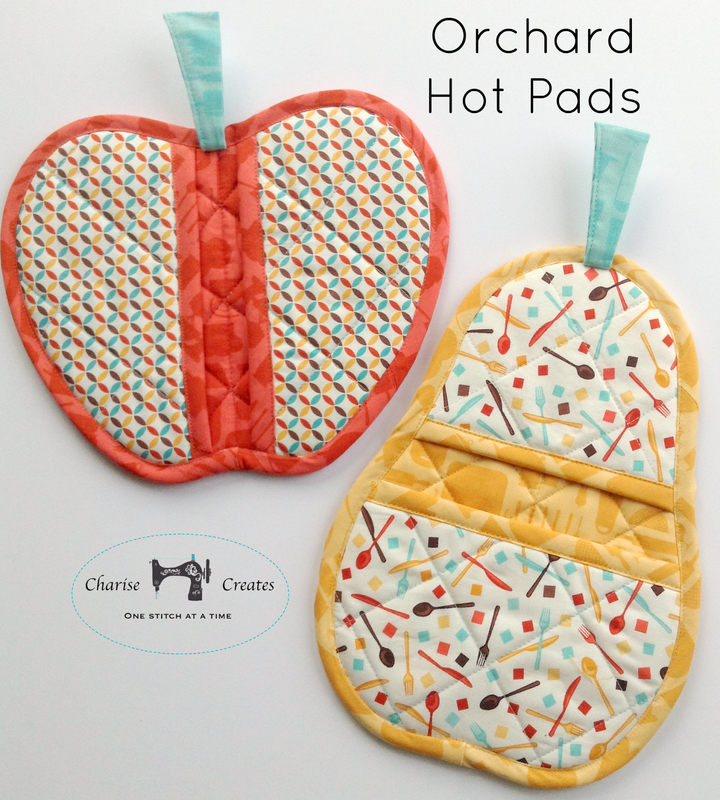 It looks great and so do the potholders. I am in love! The pattern and the fabric are too cute!